The B & B Vanessa House is a newly renovated villa surrounded by large park of 5000 meters equipped with external structures in order to eat the evening. 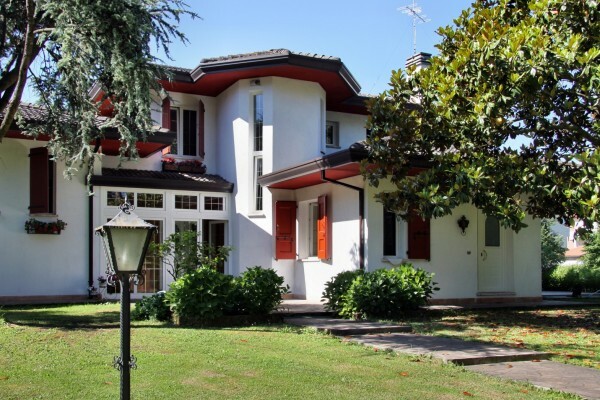 Its location is ideal because it is only 10 minutes from Mestre and 20 minutes from Venice (easily accessible by public transport cheap), 30 minutes from Padua and 30 minutes from Treviso. There are three rooms: four (suites), triple (mini-suites) and a double room with private solarium. Each room has a bathroom, private entrance, overlooking the park, heating and air conditioning. Vivaldi Suite: 46metri apartment with kitchen and private bathroom. Finely detailed interiors allow customers to enjoy all the comforts. 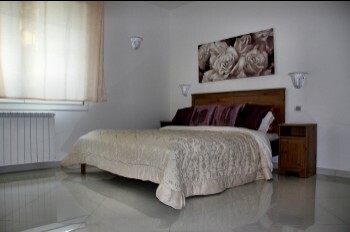 The suite has a double bed, two single beds, fridge, heating, air conditioning, private entrance, a view of the park, TV 50 ". Mini Suite Otello: triple room with private entrance, double bed and single bed, heating, air conditioning ari, private bathroom, refrigerator, TV 50 "direct view of the park. Tiziano romantic double room with a separate entrance on the first floor has a double bed, private bathroom, heating, air conditioning, sun terrace of about 20 square meters for exclusive use. No experiences yet with Vanessa House. Be the first! Did you stay in Vanessa House? Let us know what you thought about it and help others to make the right choice! * I confirm having stayed in Vanessa House. Find other bed & breakfasts in Martellago or all bed & breakfasts in Veneto (Venice).